The wet air sticks to your skin like glue… another shower would be nice. But that's just the way it is in New Orleans, Louisiana on this Saturday afternoon. There's noise and people shouting… around the corner is a big crowd of people and in the middle of this group are two Indian tribes, facing off. At the very centre there are two beautifully dressed up creatures: the chiefs. As the two tribes stomp their feet, play their tambourines and shout their chants, a confrontation seems inevitable. The adrenalin rises and the tension in the air affects everyone. Between the two chiefs is a space, a couple of meters wide, called 'neutral ground', across which the two tribe-leaders battle over the most important question there is: who is the more beautiful? 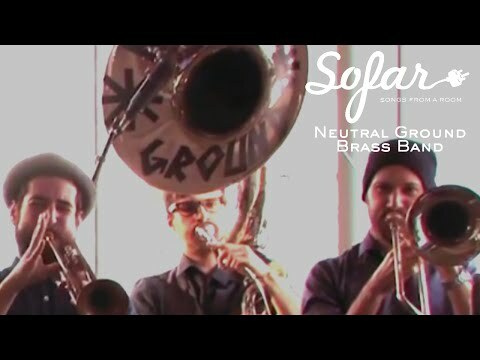 This Mardi Gras tradition inspired the name of the Neutral Ground Brass Band, a group which sees itself as a meeting-point for musicians with different nationalities and musical backgrounds. The Idea was initiated by bandleader Bernhard Hollinger who had been thrilled by his stay in New Orleans and its magic moments. Returning to Amsterdam, he could think of nothing else than sharing this experience with his folks back in Europe. 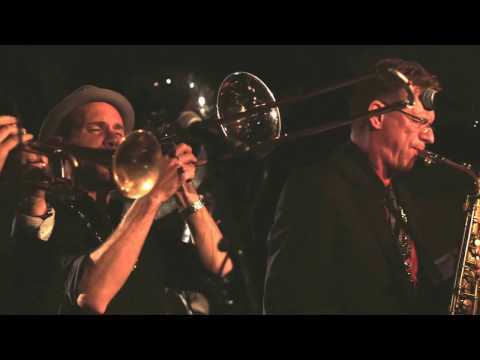 Inspired by the tradition of New Orleans music and the brass band culture, Neutral Ground Brass Band understands its musical background and defines its own sound, especially in its own compositions.